Chicago Bicycle Accident Lawyer | Illinois Bicycle Lawyers at Keating Law Offices: Encourage your workplace to join "Bike to Work Week"
Encourage your workplace to join "Bike to Work Week"
The Active Transportation Alliance (formerly the Chicagoland Bicycle Federation) has started its campaign to get Chicagoland companies to join in its Commuter Challenge for Bike to Work Week on June 13th - June 19th. Besides the usual health benefits, commuting to work also saves time and money. 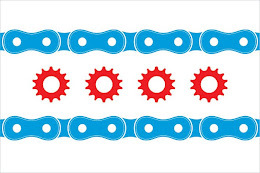 As posted on the Bicycle Law in Illinois blog before, recent changes to the IRS Code allow for tax credits for commuting via bicycle.